Some wiseguys were on the radio back on March 28th (listen to the audio to the 10:30 mark) and said that the band known as the Foxboro Hot Tubs would love to play around the opening week of American Idiot on Broadway (March 19-March 25). And of course, when some wiseguys said this, it sparked a frantic, “OMG OMG, The REVEREND in NYC!? !” squeeeeee heard ’round the world. Yes. I squeeeed. Shoot me. Of course, the wiseguys did not elaborate on important questions such as WHERE?? and WHAT?? when the DJ asked whether an appearance by the Reverend Twitch (“last seen in London throwing up on a jet”) and the Hot Tubs in the Greater New York City area was possible. Or likely. 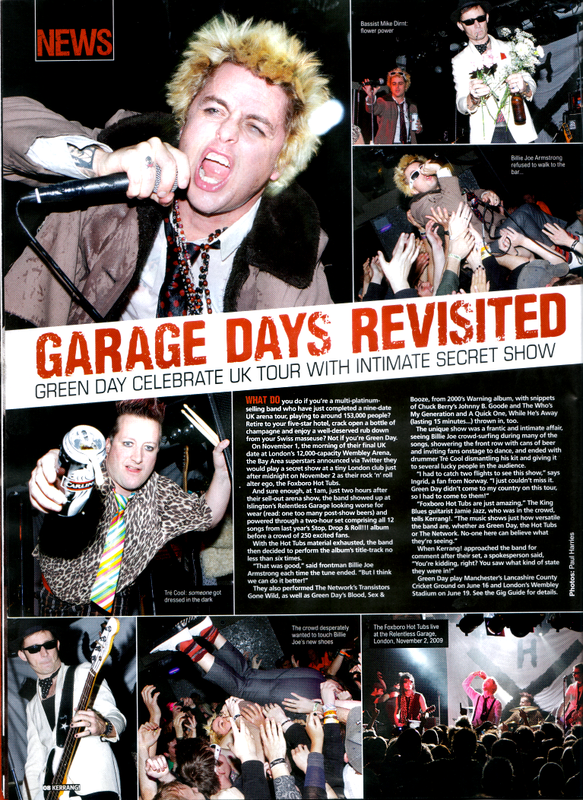 Mike and Billie Joe joked around and Billie Joe replied, “[I would love for the Rev. 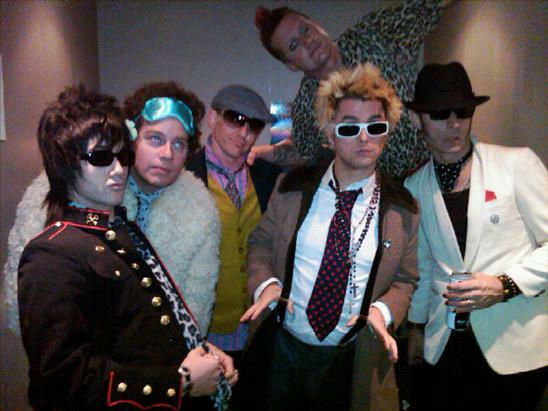 Strychnine Twitch and the Foxboro Hot Tubs] to do something around the opening of American Idiot, maybe at the place, Bowery Electric.” And then the band known as Green Day, Mike, Tre and Billie Joe shared a “tee-hee” moment of giggles. 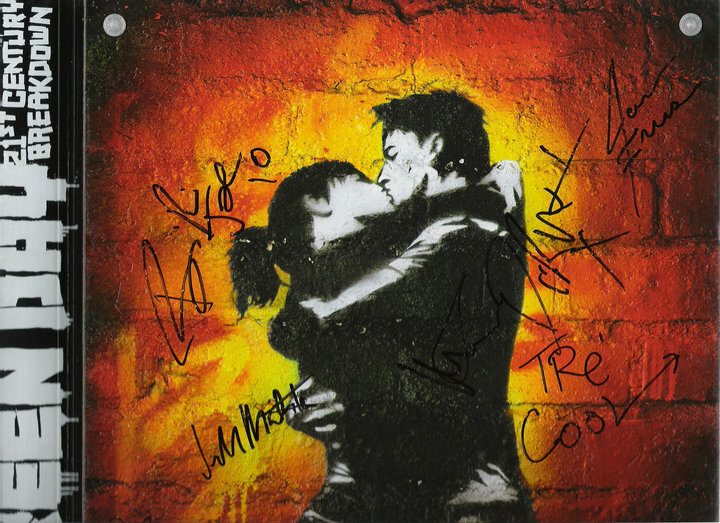 Anyway, Mike and Billie Joe mentioned the “Bowery Electric.” I read somewhere that on March 11th, 2010, they attended the Bowery Electric for Adeline Records artist Jesse Malin‘s Burning The Bowery residency. A group of well-researched people (uh, y’know) did some digging and came up with speculative venue locations. There is a “Private Event” listing at the Bowery Ballroom on 4/19. And there’s a date on the Bowery Electric site, too, that is marked as “Surprise Show” on 4/27. And the must-see Mystic Knights of the Cobra will be in NYC and New Jersey from 4/21-4/24, too. The Cobras toured with FBHT in 2008. Hmmm. Of course —>ALL OF THIS IS SPECULATION<— and only the Lushie Gods know when and if they will play, and who knows what could happen, but there are many possibilities! Now, if there’s a Kevin Preston (guitarist for the Foxies) or Jason Freese (he’s been known to play sax with them) sighting or if Billie Joe’s hair of a sudden turns blond, we’ll know for certain that something is afoot. Other than that, I suggest checking Twitter feeds uh… religiously… during the opening week of American Idiot (last preview is Monday 4/19; show opens on Tuesday 4/20 (International Pot and Lushotology Holy Day) and the last show that week takes place on Saturday, 4/25) in order to keep abreast of any last second show announcements. Cause that’s how the Hot Tubs roll: at the last second and on the sly. Can’t let Warner Brothers know EXACTLY where the Foxboro Hot Tubs will show up! lol. And the Rev never says anything that he doesn’t mean. Right? Right?? 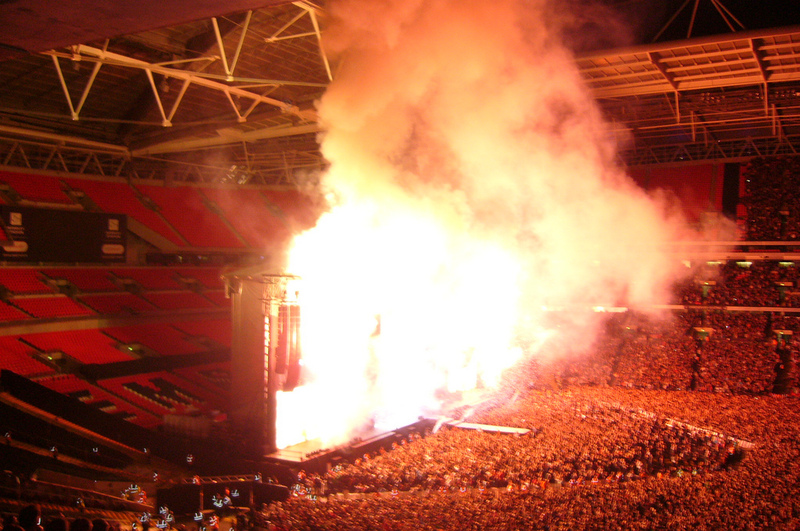 If a show does happen sometime during Opening Week of American Idiot, Billie Joe noted in the interview that a prerequisite of the Foxies is “more people onstage than are actually in the band,” and Tre stated that there also must be “more beer than air” and Mike insisted on a low ceiling. New York Lushies are willing and able to commune onstage with beer under low ceilings! No worries about any of those prerequisites! Actually, I’d like to say one other thing: There were a few people that I chatted with after the interview aired who were talking about heading to NYC for the Foxies without even knowing if the band were actually going to play. The only problem with that is that they are much-O brok-O right now and can’t afford to come that week but would love the chance to worship with the Foxies. They would be awfully disappointed if they traveled to NYC on a shoestring and a miraculous sighting of the Holy Fathers did not apparate (wait, how did Harry Potter get in here?) at some time in a New York Lushotologist’s future. So, don’t tease the Lushie Nuns unless you’re gonna do it. It would be scandalous to the Church! I’m applying the guilt found above more so in the form of a fetish dungeon then in the form of a “guilty religion” dungeon, so I’m pretty sure that I’m not breaking any tenets of the Church of Lushotology. If, of course, there were any Lushotology tenets besides drinking to break. Whatever happens, NYC is waiting. Won’t you, oh Lushie Nuns, add your supplications for an appearance in the NY/NJ area in the comments? Remember, make them Lushly!